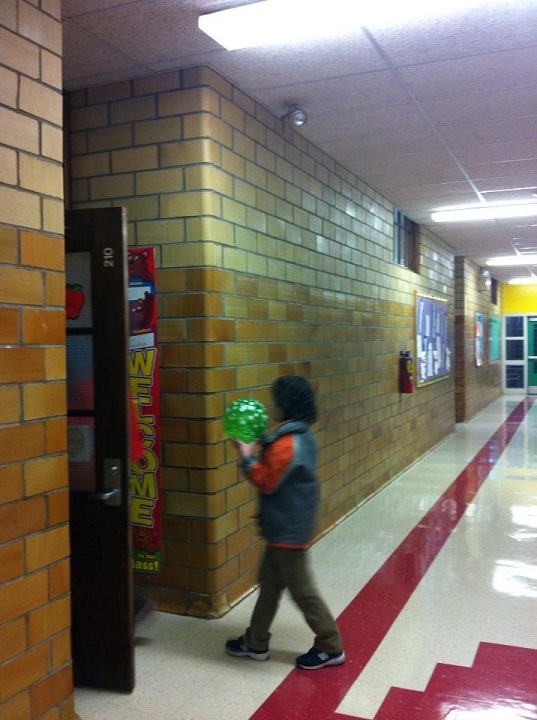 This morning as we were walking out the door to go to school, Caleb grabbed a green beach ball to bring with him. He will often grab a toy (or a bucket of toys) on his way out the door…he’s the king of picking his own transition items! Normally he will take whatever item(s) he has picked to the truck and then forget about them. This morning didn’t seem to be much different, he threw the ball into the truck, settled himself in his seat, belted himself in and we were off. Mommy got engrossed with something1 on Facebook (Oh, nos! Call CPS, Mommy ignored her precious baby (and husband) this morning for 30 straight minutes! )23 on the drive over and, despite it being a Monday, Caleb was not displaying any unusual anxiety. That’s what I call a good Monday! 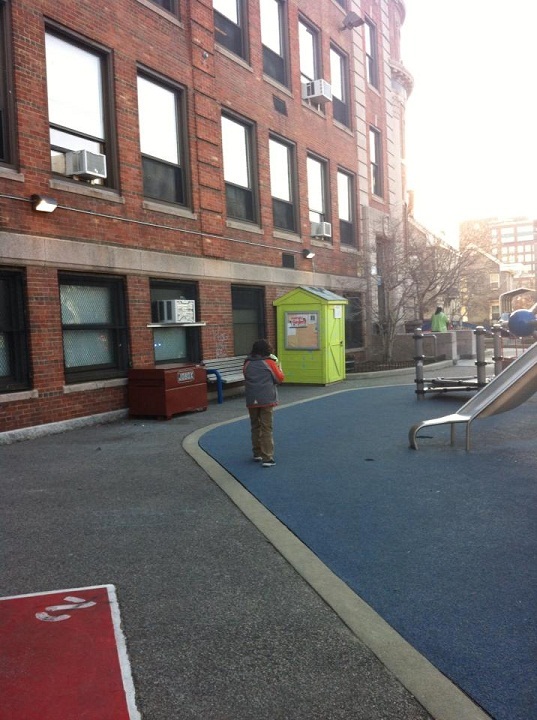 When we arrived at school I heard Eric tell Caleb to “step over,” he had to go over the ball (and my lunch) on his way out of the truck. Instead of stepping over, he grabbed the beach ball and took off for class…no, seriously, took off! See?! He ran to class, only pausing briefly on the stairs because Money had fallen behind while taking a million photos of the whole event. When he walked through the door ALL ON HIS OWN…SEE?! After asking me to send her a link she said, looking at the assistant, “That might explain it.” and they both cracked up. ← My kid is kind of a big deal. Brenda Linehan Leadbetter liked this on Facebook. Burgandi Atwood liked this on Facebook. Kelley Devine liked this on Facebook. Mary Beth Langan liked this on Facebook. Cortney Abouelseoud liked this on Facebook. Michelle Steven Kenny Knighton liked this on Facebook. Heidi Fairbanks-Smith liked this on Facebook. PS. I can’t wait to see the video of C’s Harlem shake! !